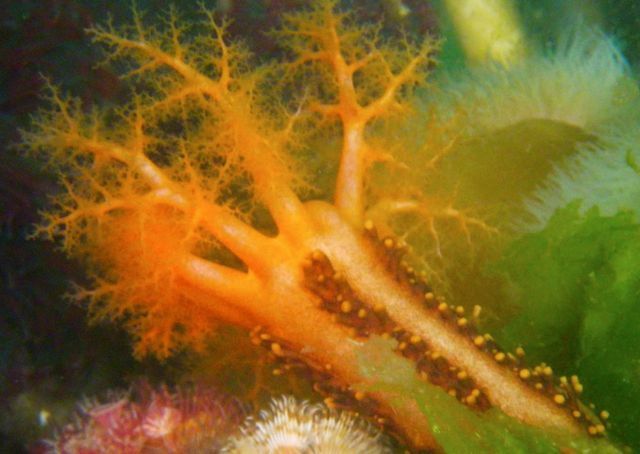 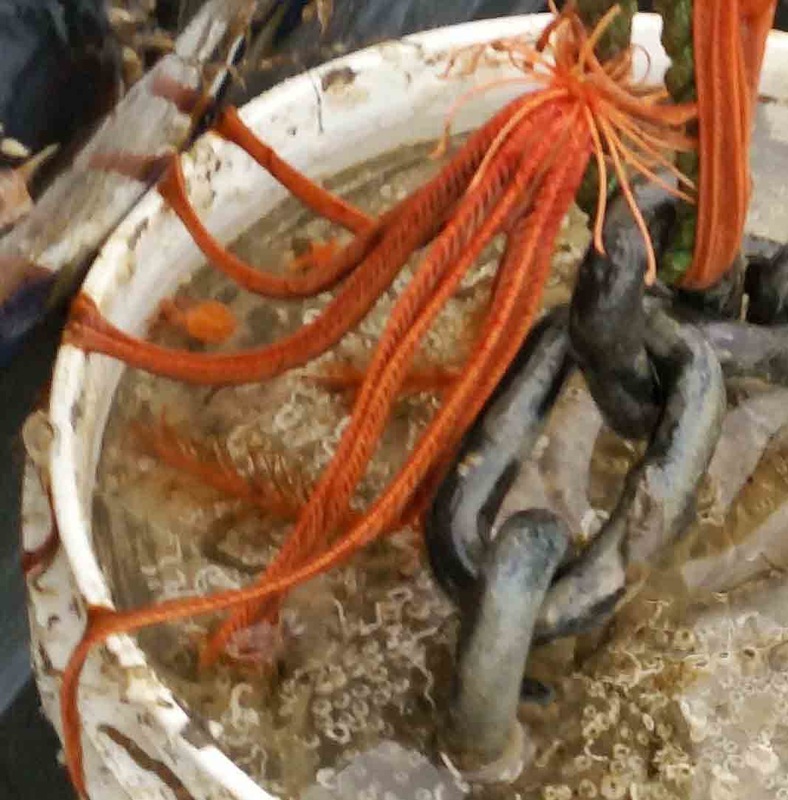 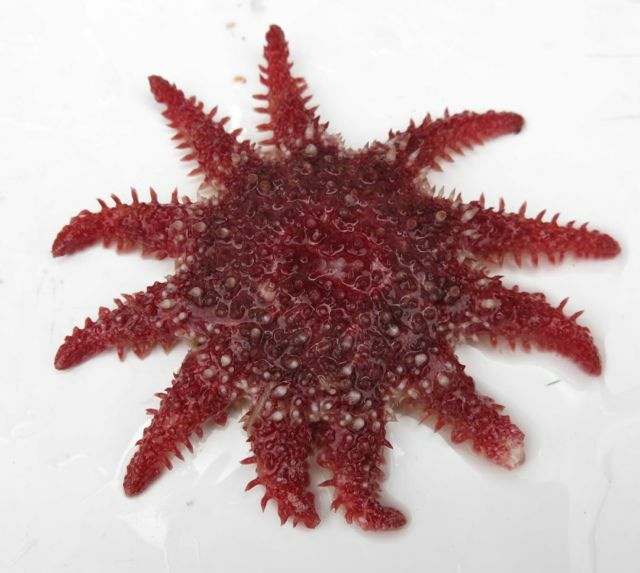 This group includes the sea stars, brittle stars, basket stars, feather stars, sea urchins, sand dollars, and sea cucumbers. 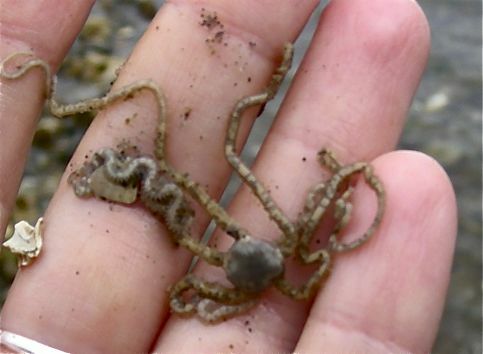 All have some sort of calcium carbonate skeleton, varying in size, amount, and degree of connectivity or compaction; for some it consists of fused plates, while for others it is embedded spine-like ossicles. 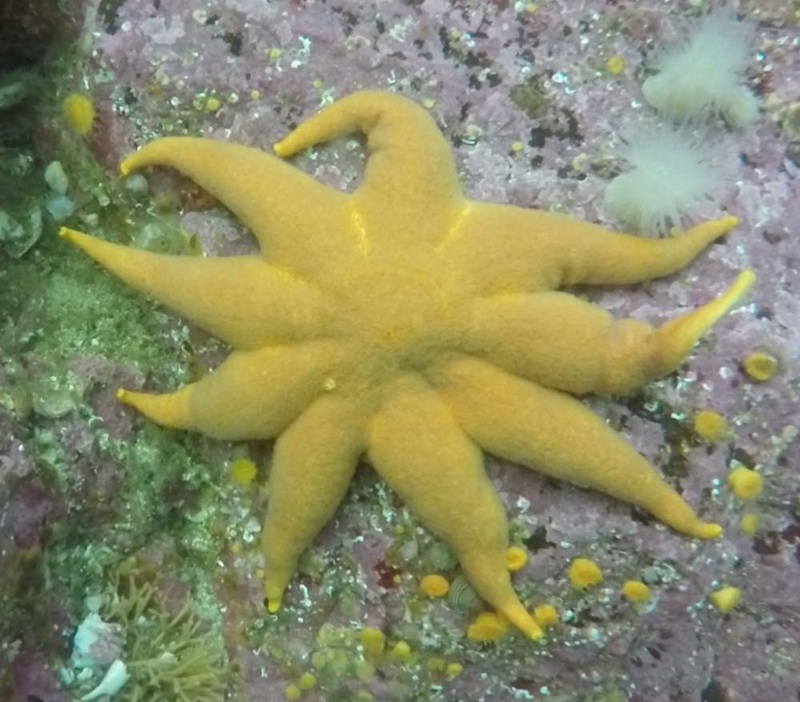 All display radial symmetry as well. 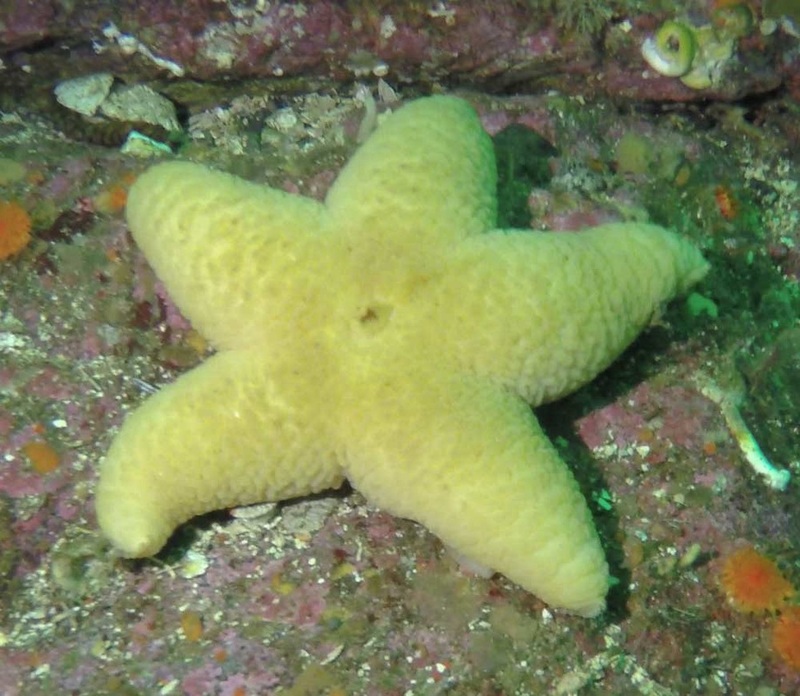 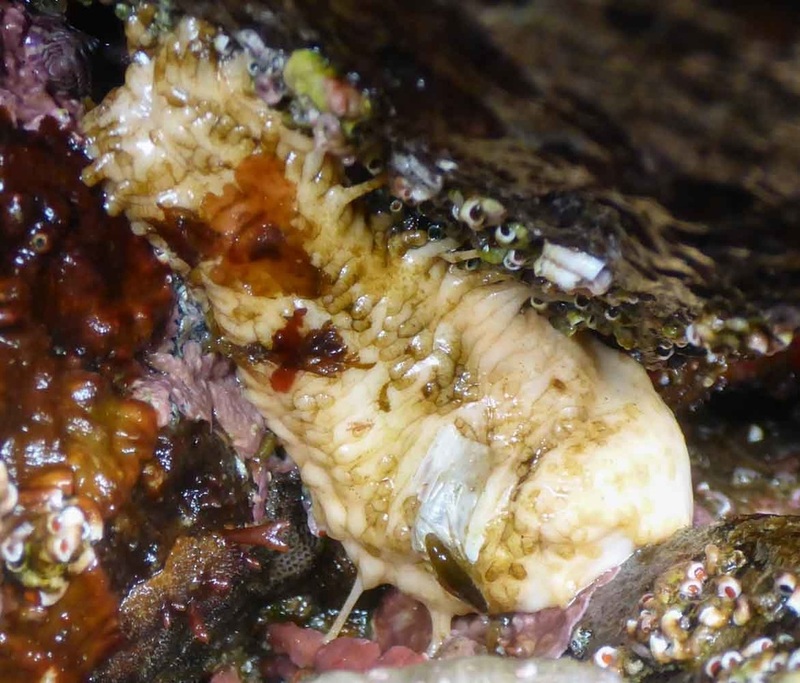 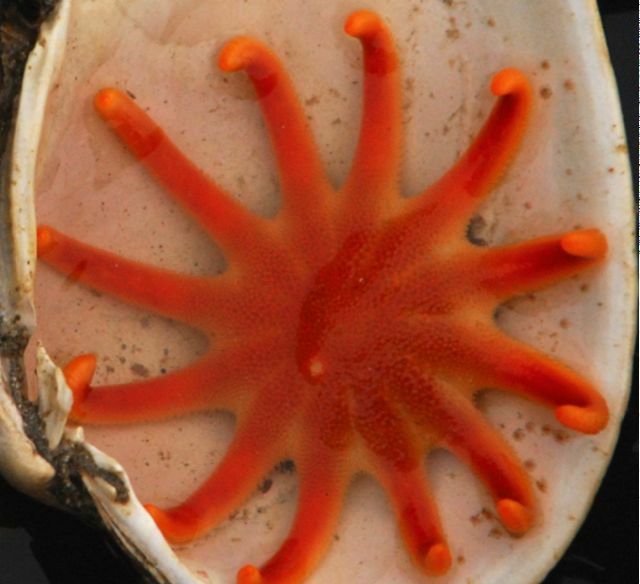 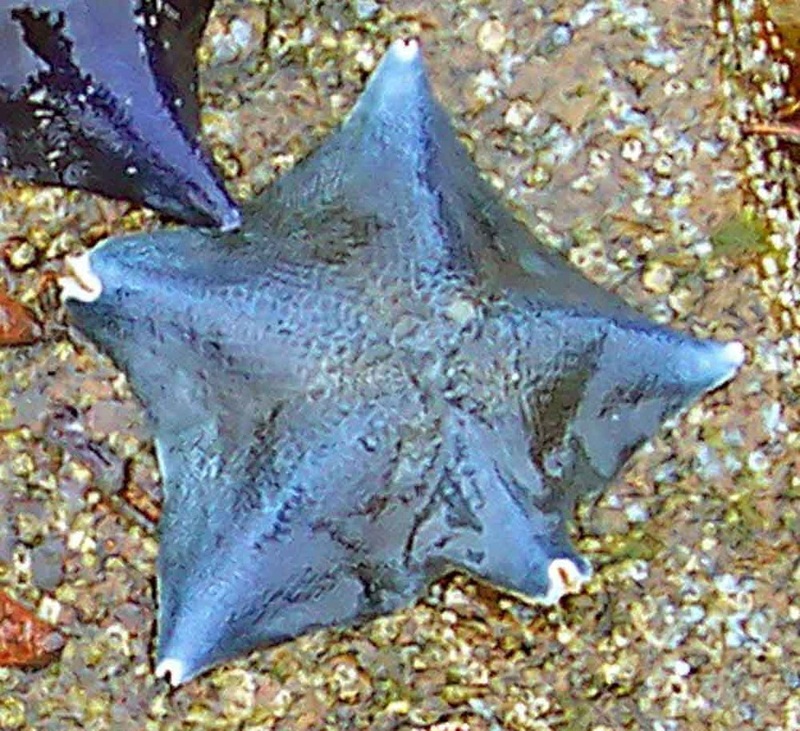 This is best observed in a sea star: limbs radiate out from a central point on the body (the mouth), and if a line is drawn through this centre point the two halves are more or less symmetrical. 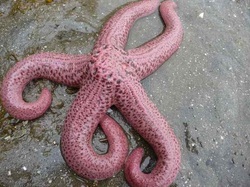 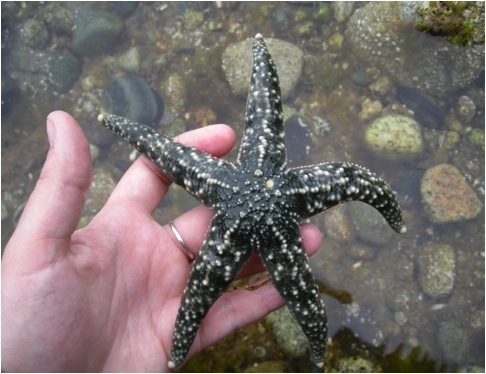 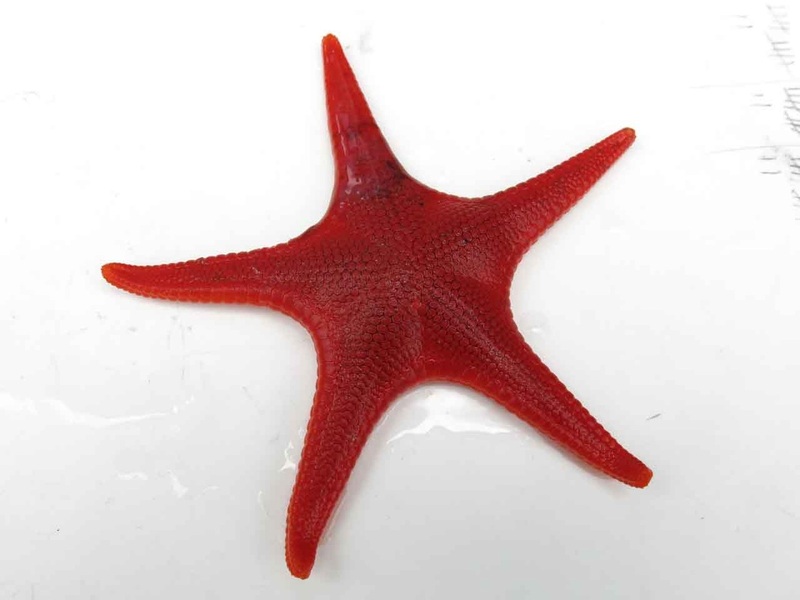 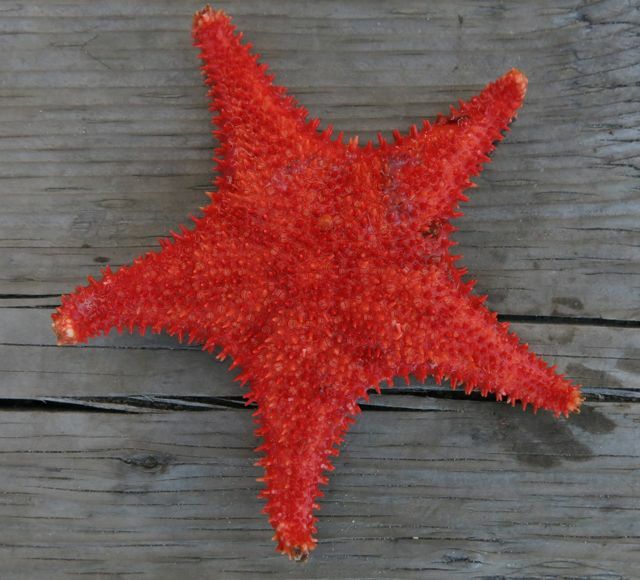 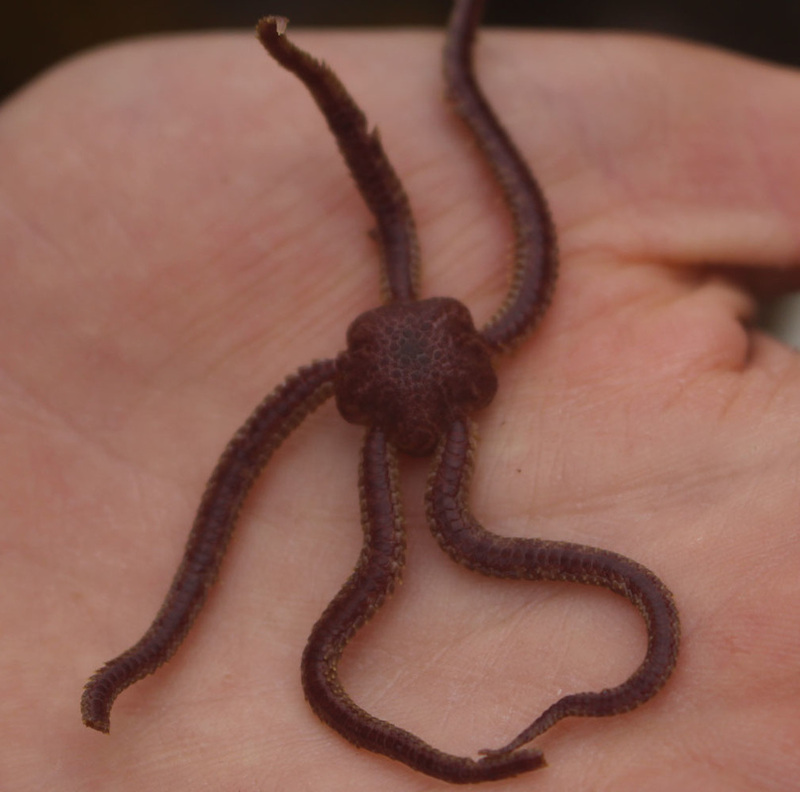 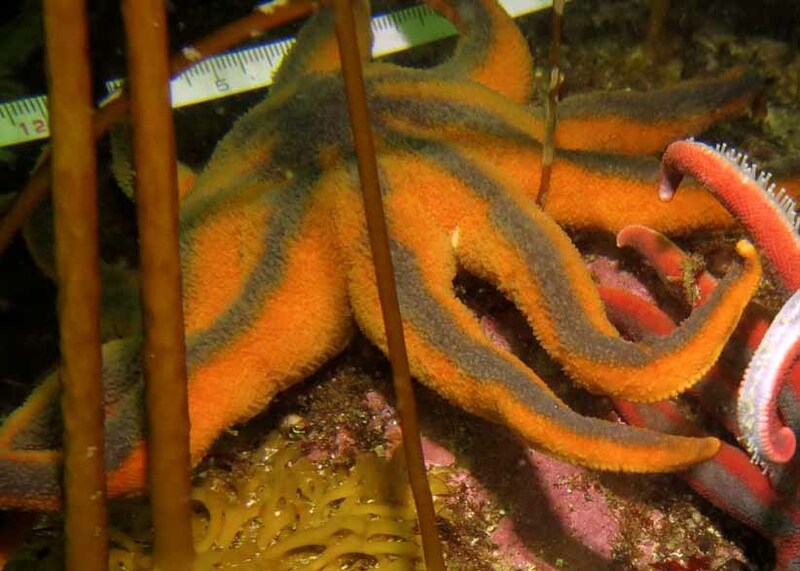 On living echinoderms rays and arms tend to occur in multiples of five (fivefold or pentameral symmetry), though many sea stars diverge from this rule in arm number. 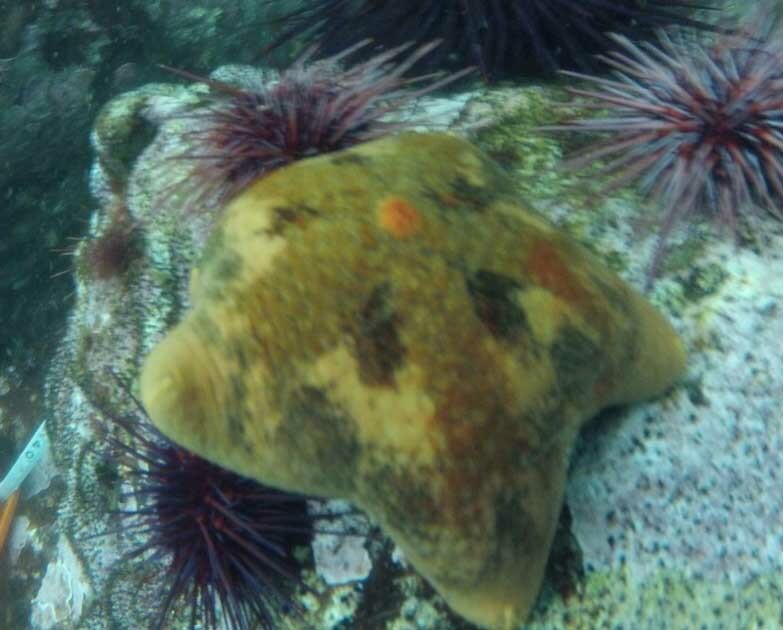 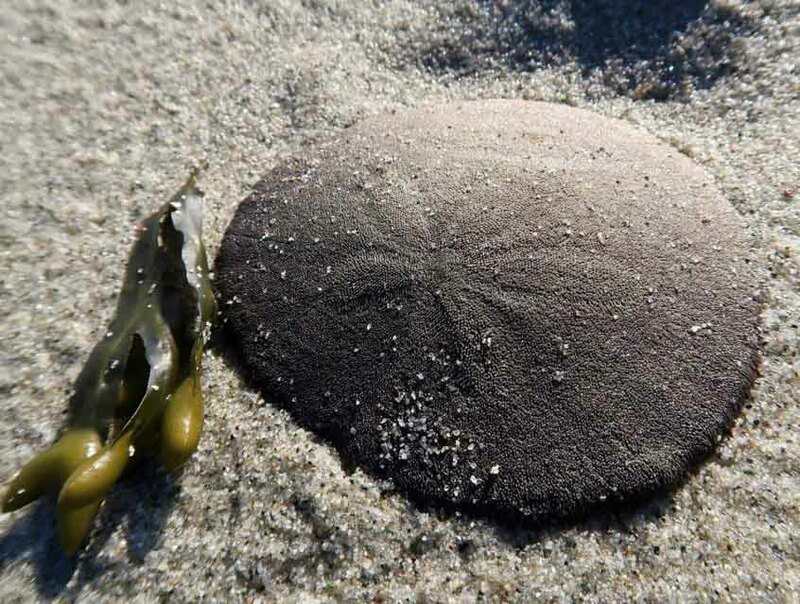 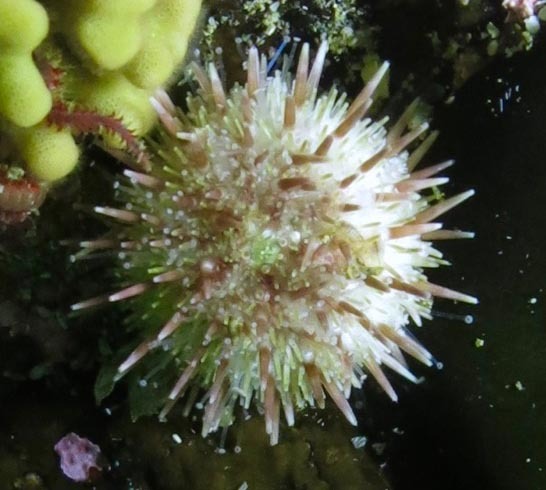 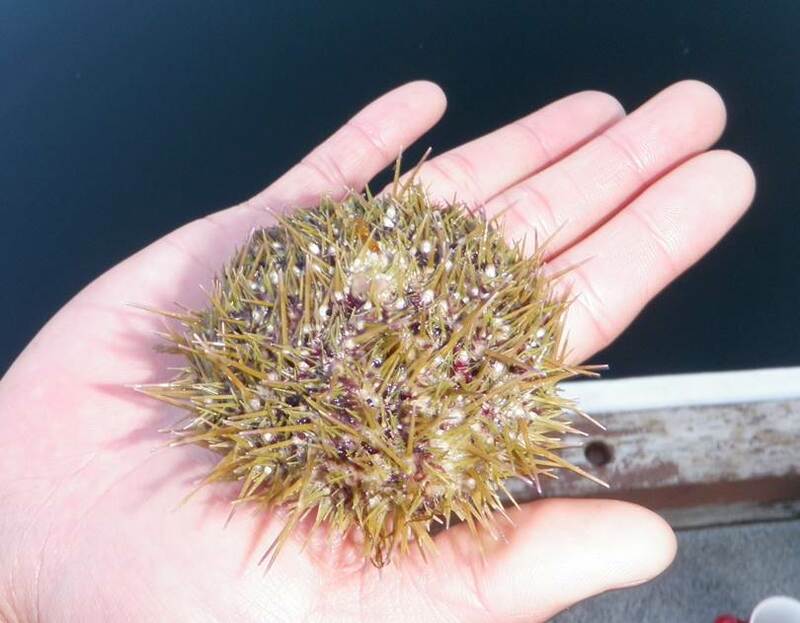 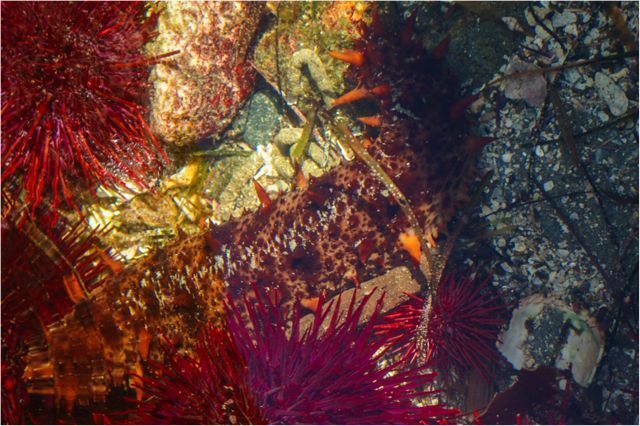 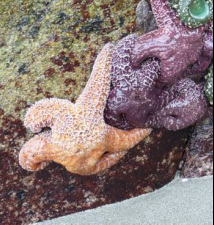 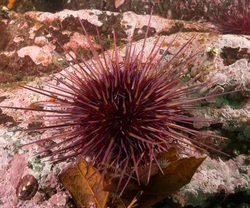 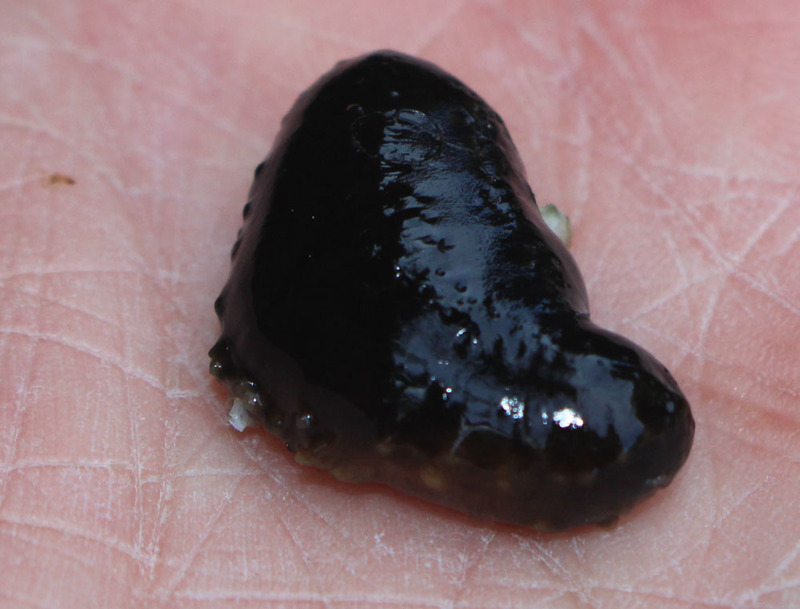 Click here for more information on echinoderms.